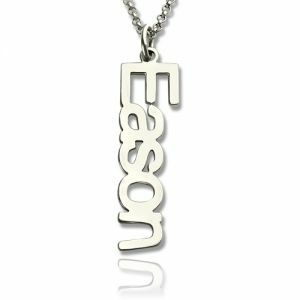 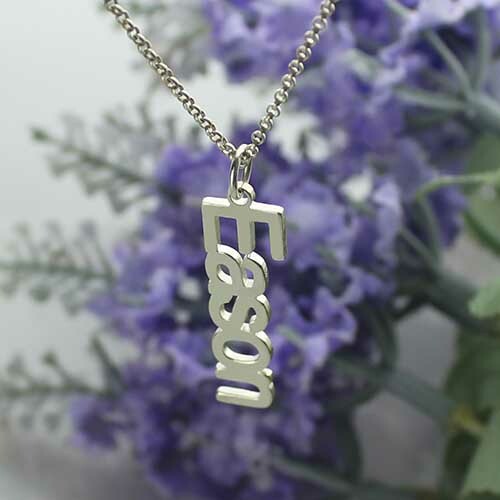 Personalized Vertical Nameplate Necklace Sterling Silver - Charming,clean and fresh! This vertical necklace is a fashionable variation to make your name with stylish font to close your heart. 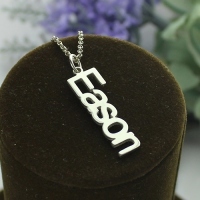 Made of sterling silver you'll delight in the look and feel of the luxury you deserve! 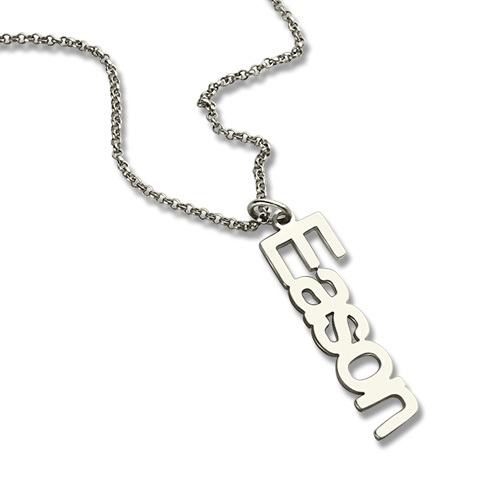 Give this as a gift to someone else or treat yourself.